I’m really missing Coretta Scott King right now. Homophobia is like racism and anti-Semitism and other forms of bigotry in that it seeks to dehumanize a large group of people, to deny their humanity, their dignity and personhood. This sets the stage for further repression and violence that spread all too easily to victimize the next minority group. Coretta passed nearly three years ago (on my birthday, coincidentally). But we need a voice like hers more than ever, because the saddest stats I read about the election were these: Gay Americans voted 70 percent for Obama. Black Americans voted 70 percent against gay marriage in California. Something’s really wrong here. Those 70 percent in the African-American community are forgetting the truth that all oppressions are equally abhorent. 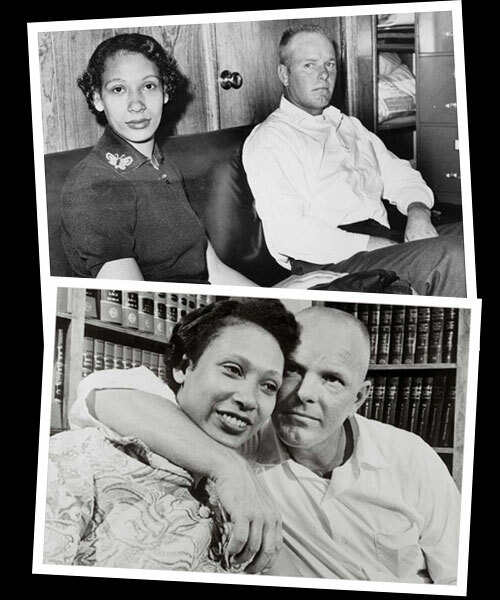 They may even have forgotten that it was just 41 years ago that the Supreme Court voted to allow interracial marriage, in the Loving v. Virginia case. Just as the civil rights struggle of the 60s was joined by Jews with a fresh memory of their own oppression, now is the time for black Americans to realize that the gay rights struggle is theirs as much as anyone’s. Coretta realized this, and eloquently spoke truth to bigotry. Barack came out against Proposition 8, but it was too little too late (and, frankly, the No on 8 campaign left much to be desired). Still… we need powerful new voices to take Coretta’s place. There’s more than one King at the glory river. Please, my black sisters and brothers, come on down. Nice post. But this one’s gonna be a hard one, Michele, because the overwhelming influence of religion (in both the black and white communites) gives people “justification” for opposing gay marriage or homosexuality in general. My thoughts for a solution? I think supporters of gay marriage need to bring up that when it comes to this subject, religious types are cherry-picking from the bible. They’ll rail against gay marriage but forgive the zillions of straight adulterers — and the bible says adulterers must be stoned. Thus, if you’re gonna stick to the letter of the bible and claim being gay is a sin, you should also be in support of stoning adulterers. Also, doesn’t the bible warn against eating seafood? Why not ban that? Of course, I wouldn’t know the details here, because I have not set foot in the church of my religion (Catholic) in years because of this topic and others like it. When religion is used to justify prejudice and discrimination, you cease to have religion and instead have oppression under the guise of religion. That’s what people need to be woken up to.